Human Resource is one of the many integral parts of Enterprise Resource Planning of an organization, and Time Attendance is an important part of Human Resource. Choosing the right Time and Attendance solution can benefit an organization not only in terms of cost but it also can present the workforce with better working experience, which in turn is able to produce better workforce engagement and collaboration. Managing workforce in the 21st century presents a different sets of challenges to the managers. Today’s employees are more mobile than ever and they are connected like never before, making work location no longer a vital element in the mix. Staff discipline is not only defined by 9-5 period, rather many companies have started to recognize the need for time flexibility. And in the world that moves fast, instant access to data is definitely second to none. So how do organizations react to the change in the workforce dynamic? Time attendance indeed is an important system for a company to help manage its growing workforce day-in and day-out, all year long. This article will present 20 important elements you should look out for when choosing a good time attendance system for your company. Do not take any of them for granted because when a company grows, its requirements follow, and investing in a system that cannot cope with future changes is a waste. Let’s look at the 20 points. 1. Clocking Versatility - The Time Attendance System of choice must be versatile and inclusive. This means that the system must allow users to clock-in according to their preferences so long as the data received is correct and accurate without any possibility of abuse. Having only one option for the staffs to choose from, for example, a biometrics fingerprint device or a card device installed at the office to clock in attendance is not entirely wrong but it would cause inconvenience to some employees that need to work elsewhere such as attending meeting at a client’s office in the morning, those who are traveling abroad or some staffs who are working from home. The time attendance system must cater to all employees at any given situations, because only then the data received would be inclusive and conclusive. 2. Realtime - The Time Attendance System you choose must be able to produce data in real time and accessible from anywhere at anytime because in this day and age, waiting makes people restless, and it is no longer tolerated. The system must not be fixed its access to a location, such as the office only and it has to be accessible by authorized personnel in the time of need. 3. Affordable & Scalable - A good choice of Time Attendance System must be affordable, sustainable and scalable. Buying a software as a one-off purchase might sound amazing at the moment, but can the system stands the growing demand of the business and the company in years to come. Hence, whenever your company is considering purchasing or committing to a Time Attendance System, please make sure that it is not overly-priced, whereby your company can sustain it comfortably over a long period of time, and that you can scale the usage depending on your company’s demand without having to fork out a fortune to get more. 4. Schedule & Roster - The Time Attendance System that you choose must let managers set schedules and rosters as seamlessly as possible. It needs to be flexible and cater to the various requirements of a company and it can be set up in a short period time, and translated into each staff’s roster without any hassle. The schedule feature of the system also must be able to handle changes made to the schedule instantaneously and be reflected in the system almost immediately to guarantee smooth operation. 5. Job Cost - Job costing lets you track employee time by task, to ensure they are prioritizing their work and focusing on the right tasks. Some companies do not require this feature but as time progresses, more and more companies are looking into job cost feature in the effort to be cost effective. 6. Approval System - Overtime is costly and most companies would like to control and monitor the overtime taken by the employees in their effort to manage operation cost. This is where the approval system comes in handy. The overtime request can come before or after the fact, and with this approval system available in the solution, it’ll make it easier for a company to trace and control overtime. 7. Integrability - In choosing a Time Attendance System, it is important to note on its integrability. The fact is, each company usually has invested in various solutions beforehand, and changing of one solution must not demand a change in another. Hence, it is important that the system be able to integrate the likes of payroll, employee leave, accounting, or HR software to ensure accuracy between programs and save on time and labor in the payroll department. 8. Effective User Management - A Time Attendance System handles employees, and therefore it makes User Management module a huge part of the system. In choosing a good system, the User Management module must be practical, and comprehensive. Keying employee data one by one is not acceptable; addition, transfer & deletion have to be easily done, and the system must have sufficient fields to contain employee details for the company. 9. Multi-Access - Access rights are different from one role to another. From super admin to admin to user to billing admin, all have different access to information in the system. In short, a great choice of Time Attendance system must be equipped with access controls limit on what information certain roles can view and access to. 10. Multi-Company - This feature is a must-have if your organization has multi-branch and multi-company. The Time Attendance System of choice must have organization chart structure to determine the position of the companies/branches or staff under those entities. 11. Mobile App - Choosing a Time Attendance System that does not have its App is rather risky in this modern age. Staff mobility is growing and mobile App is a tool for staff to report their whereabouts with convenience. It is especially important if you have people working out of the office, abroad, working from home, working at different sites and mobile all day. 12. Cloud-Based - Do not get turn off by the term cloud-based thinking that it would be costly. There are plenty cloud-based system out there that are affordable and have great features. The reason cloud-based should be a preferred choice because apart from providing accessibility to data at all times, its backup capabilities ensure data does not get lost, and data cannot be manipulated by unauthorised individuals. On top, maintenance and support are at the lowest when cloud-based solution is concerned. 13. Compliance - There are two types of compliance a Time Attendance System has to meet, one is labor law compliance and another is data protection act compliance. Identify all the compliance you need to adhere to and make sure that the system of choice has a mechanism to comply. 14. Data Analysis - Data is information in raw or unorganized form that refer to, or represent, conditions, ideas, or objects. Data alone cannot do your company any good with analysing it and finding solutions to your organization’s problematic areas. As such, a good Time Attendance System must have performance and productivity tracking mechanism that could help your business identifies problems and areas to improve. 15. Calculation - A good Time Attendance System can automate the process and the calculations based on the given formula and rules. The rounding rules of times has to be available to ensure consistent recording of time. These rules let you round to the nearest time grouping, such as five minutes, or to the beginning or end of a shift, such as when someone clocks in early. And the rules are determined by the company. At the end of the month or the payroll cycle, every data and calculation has to be churned correctly for easier and hassle-free integration. 16. Notification - This is an important feature for a good Time Attendance System. These alerts work to notify managers when employees miss a clock-in or clock-out or are absent, late or approaching overtime, so remedial actions can be taken immediately to nip the problems in the bud. 17. Report - Report is a requisite in Time Attendance System of choice. A system that can provide a variety of useful reports should be your preference. Reports that include an overview of hours worked, time-off requests and other stats help you monitor your staff and identify labor shortages or excesses to improve your scheduling. 18. Data Transparency - Conventional Time Attendance System gives the advantages to the employer and the employees are in no position to check or audit their own data. However, a good Time Attendance System of the future has to be able to give this advantage to employees in one way or another, and make necessary edit or changes whenever required. 19. Monitoring Tool - Every employee has a different work rate and a different portfolio to attend to. Thus, a good Time Attendance System has to be able to provide monitoring tools that can be used to identify the performance of your employees. You should be allowed to monitor on certain areas and be notified accordingly for possible remedial actions. Areas to monitor should be on the employees’ clock-in time, short work hours and etc. 20. Support - In any system, good technical support and service is a MUST. Opt for Time Attendance System that offers you support around the clock, with ample of guides and information available online so you’ll be able to get help at any time. Managing workforce in the 21st century is challenging due to the changing elements in the workforce itself such as the growing need of mobility at work, the need to be flexible in work time and location for some talents, incorporation of work life balance for the millennials, the need to be transparent, and etc. Therefore, this modern era requires more than just a basic Time Attendance System that can clocks time in and time out. 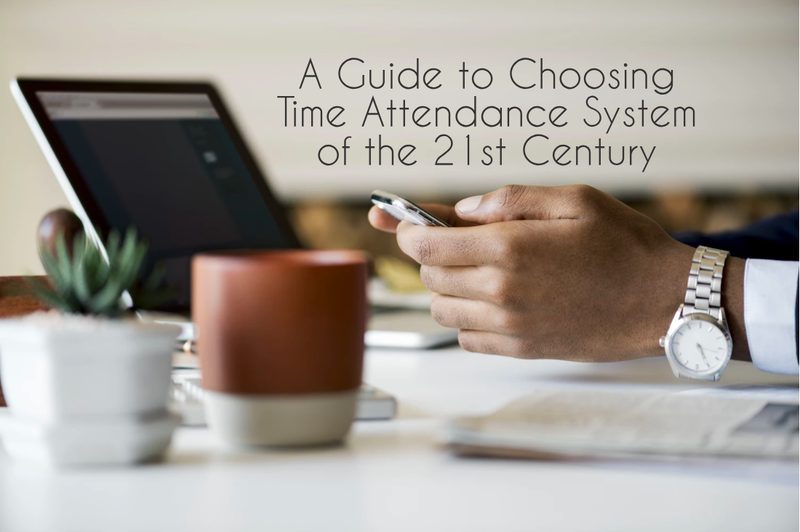 The quest for the 21st century Time Attendance System is a system that not only will save you money, but also a system that could improve your workforce efficiency and productivity effortlessly. The key to a successful cloud business has a direct correlation as to how the customers feel when they are using the product; the entire journey from signing up to trying each and every feature offered, to communication with the brand’s team, to the billing stage, to the after-sales service, the entire ecosystem of the brand and so on. Imagine after searching the Internet for a decent steakhouse in town, a customer decided to give it a go, to actually drive to that restaurant, to have an amazing dinner. Everything looks tantalizing in the website with that sharp picture of a juicy, perfectly charred and glossy steak, and the fancy interior of a restaurant that sets one’s expectation up high. The concept of service remains a challenge for the majority of subscription companies in this century. 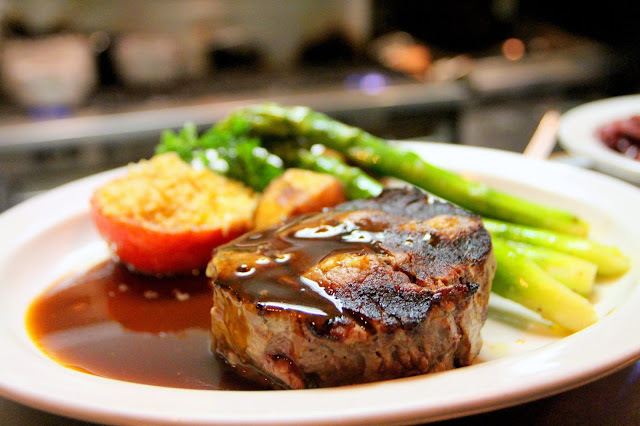 What have an IT company got to do with providing services like a steakhouse? As the race between software providers begin, as to who could churn the best and most features to the subscribers, one area that needs a second hard look is whether have we delivered those feature to our customers to the best of our abilities? Not only function wise but also to reach the level of easy-to-use experience. Have we provided enough service for our customers that are using our solutions? Or we just let them figure it out on their own because apparently, we have provided those important features? Quoting Einstein, “Any fool can complicate things; it takes a genius to simplify them.”, and the struggle is real for many cloud developers to deliver this part of the deal, the service. Take for example TimeTec TA as a cloud attendance system; it is a cloud-based software on a subscription basis that empowers any company in any industry to easily collect its workforce attendance data, automates an array of schedules and rosters, calculates the time data accurately and applies the data to impact the business. What the software offers does sound amazing and it could potentially provide a very useful tool for a range of businesses across various industries. But, have we managed to deliver the clients’ objectives effortlessly and effectively? With subscription business, development and improvement is a never-ending process and it’s important now than never that we incorporate customer service delivery along the way. With Wizard, all customers have to do is to answer all questions provided, and everything will be set accordingly. However, we as a developer must ensure to not leave anything behind in our effort to deliver excellent services to our clients. The guides are available throughout TimeTec solutions with one objective: to make the brand experience a breezy one. There is no telling how far have we successfully made our clients feel like they fancy our solution or do they actually struggle along the way in silence in the hope that at the end of the day, everything will fall into places? Of course, there are some compliments and complaints along the way but the definite answer to cement our certainty is still a blur at this moment. Data is an invaluable asset in subscription business and this is where the gold mine is. It presents the opportunity to get to know our clients better in order to deliver the best services, providing them with more values of their investment. The simplest way of analyzing customer satisfaction would be on the conversion/renewal rate vs termination rate. The conversion rate/renewal rate provides us a gleam of hope indicating that we do deliver what the customers want to a certain extent, but it is in no way a license for us to be complacent and stop improving ourselves. And termination rate presents us with lost opportunities, reminding us that if we do not deliver what the customers want, the customers won't tolerate the brand. But those apparent results are not the only data indicative of what’s been happening around our solutions. Big efforts are needed to dig deep into the data of the whole solutions to find the clues as to what customers are leaving behind or not. From the handful of features that we proudly offer, which ones are being used and which ones are being left untouched? Is the App being utilized to its full abilities or the countless hours put on its development time generates only 5% of usage amongst the client pool? If indeed the number is too low, how would we boost the usage of the amazing App? Conventionally, businesses turned to Customer Survey to obtain the feedback from the people who are using the products; these days the data speaks louder than words because the data IS the truth. And we need to intently listen to the data in order to deliver even better services to our worldwide customers, trust me it's not an easy task. Once that customer arrives at that fancy steakhouse, has he/she been greeted properly? Shown the table? Presented with the menu? Read the specials? Served with warm buns and perfectly temperature water at the table while he/she gazed through the menu? Orders are taken properly? The kitchen crew is ready and performing? and etc. While the challenge of running a restaurant is immediate and direct, the challenge of providing service in subscription business is amplified when the delivery of these services is mostly virtual and in silence. While the product and research and development teams are cracking their heads thinking of ways to deliver simplicity and great services throughout the solutions and their Apps, it doesn’t mean that we don’t have or cannot do anything outside of the system. As a brand, it’s imperative that we reach out to our customers and offer our assistance in person. It’s rather ironic for an online subscription business to physically reach out to their customers but the reality demands. This is where Customer Success Team plays its pivotal role in the whole brand experience journey. From the get-go, the team must tailor the engagement based on multiple elements. The engagement needs to be beneficial to the receiving end rather than superficial. Engagement just for the sake of engagement is off-putting and customers are smart enough to distinguish. As such, Customer Success Team needs to connect based on the customers’ appropriate experience, be smart enough to manage customer’s expectations, know how to set joint accountability from the starting point, deliver successful milestones along the way and quick to fill in the gap in between to make customers feel serviced and happy. TimeTec is a brand committed to stay and prosper in this subscription economy realm for the foreseeable future. In that respect, as a team, we pledge to deliver what it takes to grow, renew and retain our customers. Your feedback about our solutions, good and bad, is invaluable to us to achieve our goals. Email me at ana@timeteccloud.com for TimeTec cloud-related subjects. Are you new to our TimeTec Partner program and not sure of how to proceed? In this article, we will introduce the resources we already prepared in order to help you gain customers and share some ideas on how you can start to secure your first sale. The journey starts with a sound product knowledge so we invite you to attend TimeTec FREE Webinar sessions to better understand the solutions. You can also extend these Webinar sessions to your customers as part of their training. Certificates will be provided to all attendees, and exams are available to obtain training certification. The aim is to learn to set up an account, enjoy the user experience and from there, pick up key selling points. 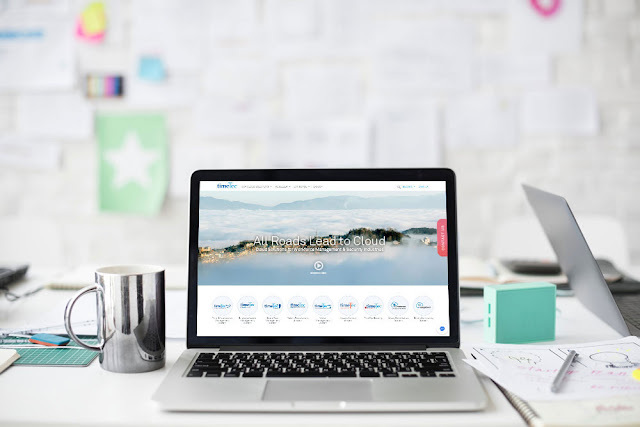 You probably know all the benefits of cloud-based workforce or security management systems but we have our own advantages: 30 days free trial, multilingual availability, extensive features on the mobile app, 10 user license free for life (TimeTec TA & TimeTec Leave) and many more. We share useful learning resources directly within the application (under the Support section) and on our websites. Besides that, we are constantly releasing new features, so do check our monthly Newsletter updates. Now that you have attended training and have access to the account, you can start marketing TimeTec to your customers. Explore your TimeTec Dealer or Distributor Account (View as Dealer) and on your dashboard, you will find the link to the Marketing Central. Here, we place all the marketing resources you need to close more sales, faster. You can download presentation slides for your sales pitch, samples of proposal and support agreement, sample reports, new features and etc. Choose a solution to view available marketing materials. Prepare for a demo using your own account or you can also use our Live Site Demo should you lack the time to set up yours. If you wish to personalize the settings, do not forget that in your Dealer Account, you are able to directly add customers to create a trial account for them. Make sure to download TimeTec Mobile Apps to simulate the full experience. We also recommend using a screen-mirroring software, for instance, the Reflector 3, a useful tool on Mac, Windows and Android devices to help your team demonstrate the interactive features and different roles (e.g. 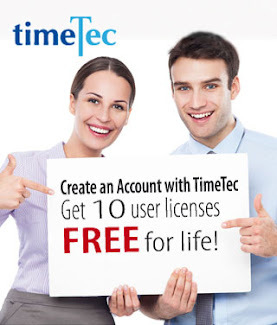 normal staff and admin for TimeTec TA) to your potential customers. If you are stuck anywhere in the process, reach out to us via LiveChat, Skype, email or phone, the TimeTec support team is always available. If you are a FingerTec reseller, HR system provider or a security products vendor, you probably already have a sizeable database of existing customers and a good understanding of their requirements. You can tap on these prospects and contact them with offers for a free trial if you believe it will suit their company. Send an email to them introducing the solutions, together with a copy of the brochure. It is likely many users of FingerTec devices will have the interest to learn more, since they are familiar with the company’s products and services, and their existing devices can easily be connected to the system. Get in touch with business partners and share your new business plans and service line up with them. Ask for a referral and they may send leads and inquiries your way if they come across prospective customers with matching requirements. Spoilt with various marketing channel choices, the ‘old school’ way of direct mail tends to be overlooked and ignored. Don’t. Direct Mail marketing strategy should be one of your main marketing strategies because when there are less traffic and competition, your message gets noticed. The audience becomes more receptive to receive tangible and personalized materials that are targeted specifically to them. On TimeTec TA’s Marketing Materials page, we provide a guide on how to prepare for an effective Direct Mail strategy and relevant resources/contents for resellers to use as a reference during sales and marketing pitches. Other useful marketing platforms include social media and networking ones, be it Instagram, Facebook, Twitter, LinkedIn or others. If you have an online presence, why not go there to shine the spotlight on TimeTec solutions. Follow or connect with our accounts as we often use these to engage with customers. It takes time to generate leads so if you do not have a target to start with, let us know that you are ready to take off and need a referral. We receive worldwide inquiries and we may require your assistance to follow up with some of the leads. We also have an Auto-matchmaking platform designed to connect you with the prospective customers in your region. 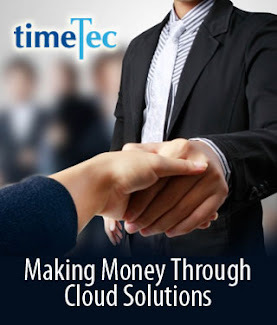 You can contact our Sales team by email at info@timeteccloud.com for any discussion and communication. Periodically, we try to offer a variety of packages and promotions to suit different customer needs and some of these are for a limited time only. It usually goes out to resellers via email so do take some time and have a look at our communications to you. To ensure you won’t miss out on attractive bargains, we are also working on creating an ‘Ongoing Promotion’ page (coming soon) that you can visit directly from your Dealer Account. One of the best long-standing deals we have is the TimeTec Suite Package, where clients that subscribe to either TimeTec TA or TimeTec Leave is entitled to enjoy the second solution at a 50% discount. 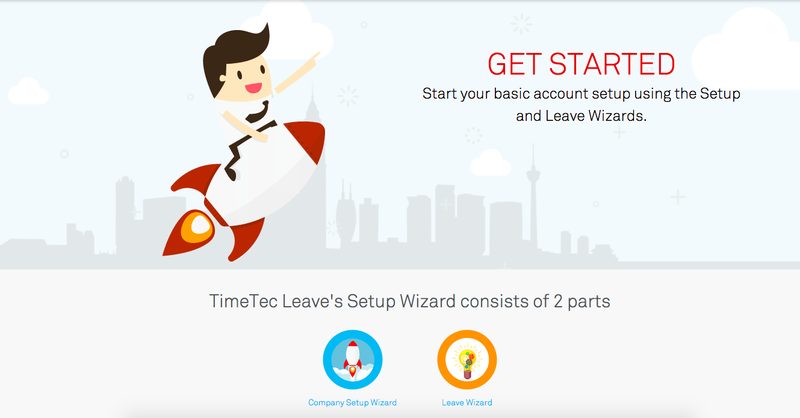 For Malaysian end users, we will be offering a TimeTec Value Package; for RM300 fee, we take care of the full account setup and provide a training session (on-site or webinar) so they can start using immediately. Many other exciting packages and promotions are in the works and we will send updates to you as soon as we finalize them. Along the way, if you need assistance to meet your client’s requirements or there are customization requests, inform us so that we can discuss this with our development team. We aim to continuously improve the solutions and provide a better user experience so all your feedback will be highly appreciated.